Embroidery is making a comeback this year. I remember I had my first embroidered jeans, also from Zara, when I was a teenager. I loved them so much, and I’m happy that the trend is back again! Next to velvet, suede and tulle this is another favorite of mine. 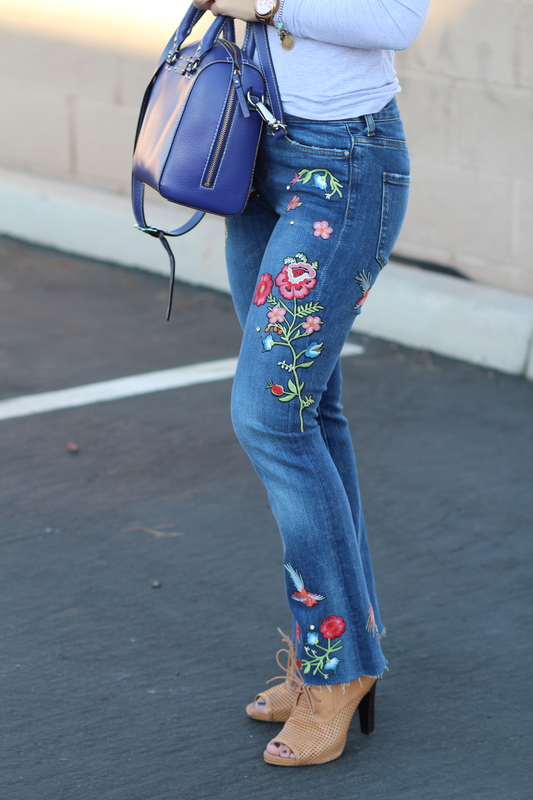 From sweatshirts to blouses, denim and even footwear and handbags – embroidery will for sure make any outfit stand out and will give it that unique flare. Not to mention that an embroidered piece can be dressed up or down depending on your style or the occasion, of course. Today I’m featuring a semi-casual look you could wear to a Sunday brunch or even a date night. The jeans have lots of detail, so you don’t need to rely on shiny accessories to complete the entire look. I saw you post these last night on social media and those jeans are EVERYTHING! Love them!!! Thank you, Christie – I love the fit as well, fit is so important too!